Gakuen hetalia screenshot Okiku doll?. . 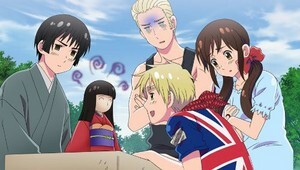 Wallpaper and background images in the hetalia club tagged: photo japan england germany seychelles aph. I don't mean to be rude but why is syeachells white?